Miserable at the office? Try these quick tips from a leading neuroscientist who specializes in studying happiness and what causes all the good feels. Why wouldn’t feeling happier at work be at the top of our collective consciousness? After all, most of us spend a third of our days working. Our time on the clock might as well be pleasant and fulfilling. If it’s not, if you're a sad, sullen downer of a worker -- and your boss could very well be onto this -- studies suggest that you’re significantly more likely to slack off and be less productive. On top of the emotional toll on your own well-being, your blues could also be a costly drain on your company’s bottom line and seriously bum-out those who work around you. 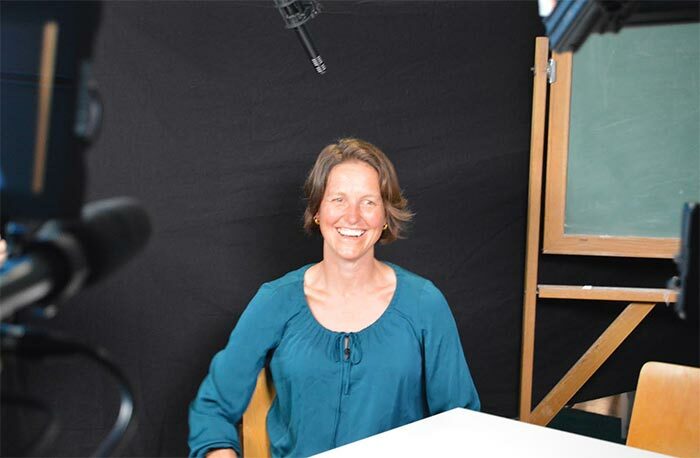 Dr. Emiliana Simon-Thomas, science director of the UC Berkeley Greater Good Science Center. Simon-Thomas is also the co-creator and co-teacher of an eight-week EdX online course titled “The Science of Happiness.” I should mention, in the interest of full disclosure, that I'm currently enrolled in the free class. “The professional culture norm has long been to leave your personal baggage at home. You come in. You do work. We don’t always know if our co-workers are parents. We don’t know if they are caring for others who demand a lot of their time and energy outside of work. We often don’t know much about our co-workers and what they’re personally going through. "What researchers are realizing is that the separation of professional and personal is a poor model. It minimizes workers in a way that makes it more difficult for them to be happy, to feel valuable, connected, trusted and cared-for at work. It’s time to promote empathy in the workplace, to ask questions and feature opportunities for employees to share their real-life moments. A good starting place is to have off-site play days for your staff, when they can talk about who they really are, what they’re really about and where they really come from. Knowing that information about your co-workers, like if they’re in the midst of a challenging personal situation, which we all go through, can be helpful to understanding where the person is coming from. It promotes compassion and happiness, and it puts money in your company’s bank in terms of trust and social connections." Bottom line: Getting personal at the office increases co-worker trust and compassion. “Work is often framed as being something you earn. Maybe others think you were the lucky one who got a new position, or a raise, or maybe you’re the most qualified one. It’s very competitive and people get jealous and harbor resentment. Workplace competition is counter to cooperation, as it creates a sense of holding on to what’s yours and making sure nobody else intrudes upon your territory. "In actuality, and empirically-speaking, that mentality is not as productive. It doesn’t lend itself to happiness, nor to the type of achievement that stems from the cooperation of your teammates. Bottom line: Teamwork makes the dream work. “Taking a deep breath as often as you can at work, or having some kind of extra awareness of what’s going on in your own psychological milieu, is so important. Engaging in mindful habits, like breathing deeply before meetings or on break or whenever you can fit it in, can reduce the toxic rumination and racing thoughts that often lead to stress and anxiety -- the things that ultimately take our minds off of work and render us less productive. "Focus on your breath when you’re in a moment of reactivity, when you’re tempted to perhaps yell at someone about something they did that irritates you. Notice the urge, get curious about it, feel the joy of letting go and repeat. Bottom line: Stop, think and breathe in the heat of the moment. “Gratitude has been proven to present a huge opportunity for increasing happiness. There are lots of opportunities at work to be grateful for the people you work with. It’s up to you to show it, to vocally, explicitly express gratitude to the co-workers and teammates that make your livelihood, progress and daily efforts possible. "Expressing thanks and showing you’re grateful for them brings about a deep, mutual sense of belonging and cohesion. It also creates empathy and trust in the workplace, which is essential to accomplishing collective work goals together. The giver and the receiver will feel a sense of purpose, a sense of camaraderie and like they matter in the bigger scheme of the enterprise. “Just be nice, as simple it sounds. It’s one of the most measurably effective things you can do to easily and immediately increase happiness at work. Researchers saw this in a recent nursing industry organizational trust study and intervention. The nurses who took part were burning out and unhappy. Bottom line: Be kind, don’t be cutthroat and lay off the snark.